Umbro was the foremost soccer brand in the world. Harold Charles Humphreys (1902 – 1974) was born in the village of Mobberley in Cheshire. He was the son of a house painter. Humphreys found work as a salesman for Bukta, a football kit manufacturer. He predicted that kit sales would continue to grow, and entered into the sportswear retail business for himself from 1920. He was initially assisted by his brother Wallace James Humphreys (1900 -1950), and the firm traded as Humphreys Brothers. 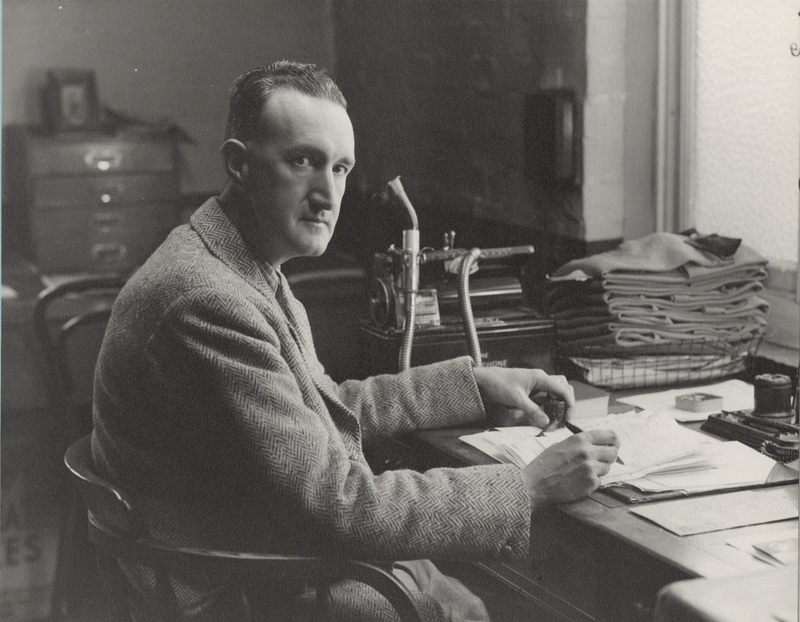 Harold Humphreys initially operated the business from rooms above a pub that his parents operated in Mobberley. The Umbro brand was established in 1924, derived as a portmanteau of Humphreys Brothers. Clothing manufacture was originally subcontracted, but growing sales saw an Umbro factory established in 1930. Both teams wore Umbro kits at the Wembley finals in 1934. During the Second World War Umbro manufactured military uniforms and Lancaster Bomber aircraft interiors. The England international kit was manufactured from 1952. Roger Bannister (1929 – 2018) ran the first ever sub-four minute mile whilst wearing Umbro clothing in 1954. Umbro began to outfit overseas international teams from 1958. When Brazil won the World Cup that year, they were kitted out in Umbro clothing. By the early 1960s Umbro was being managed by the two sons of Harold, John (1929 – 1979) and Stuart (1931 – 2005). In practice, John was the leading dealmaker. Umbro won a 25-year contract to be the sole distributor of Adidas products in Britain in 1961. Adidas was the largest manufacturer of soccer boots in the world, but this was its only manufacture, so there was no conflict of interest. Umbro kitted out 15 out of 16 teams in the 1966 World Cup Finals, the sole exception being the Soviet Union. Distribution of Adidas footwear and clothing had become the largest source of income for Umbro by the early 1970s. Umbro supplied the football kits to all 16 teams in the World Cup Finals of 1974. The England international football team switched their kit manufacturer to Admiral, who had made a superior offer, in 1974. A factory had been established at Wilmslow by 1977. John Humphreys died in 1979. His unexpected death affected corporate development, and Arnold Copley, a former partner at Price Waterhouse, the accountancy firm, was appointed chief executive from 1982. He led the company into the leisure wear market. A factory was opened at Ellesmere Port, Cheshire, in 1984. Umbro regained sponsorship of the England international football team kit from 1984. Adidas had entered the leisurewear market and there were increasing conflicts of interest with Umbro, so the distribution contract ended in 1986. The termination of the contract gave Umbro free reign to enter the footwear market for itself. Umbro employed 650 people at factories in Macclesfield, Ellesmere Port and Wilmslow by 1985. Umbro was the market leader in football kits in the United States by 1990. Umbro was acquired by its US-franchise holder, Stone Manufacturing of the United States for £2.9 million in 1992. The increasing cost of club sponsorship saw Umbro abandon its interests in squash and rugby to focus solely on football. Following a slump in demand, Umbro closed factories at Macclesfield and Stockport, with the loss of 146 jobs in October 1992. The death of Eugene Stone in 1997 saw the remaining family members reach loggerheads regarding the future direction for Umbro. Phenomenal growth saw financial resources stretched to the limit. Several cost-saving measures were introduced in 1998 in order to stave off bankruptcy. Almost the entire United States workforce was dismissed. Headquarters were relocated to Cheadle, Greater Manchester. Meanwhile, Umbro divested its factory in Biddulph near Stoke. Umbro clothing continued to be manufactured there, but under contract by a third party. Umbro was sold to Doughty Hanson, the private equity group, for £90 million in 1999. Umbro underwent a remarkable turnaround. The Wynthenshawe factory was closed in 1999, and manufacturing was outsourced to China and Hong Kong. The Umbro brand was repositioned to focus solely on football. Nike acquired Umbro for a generous £285 million in 2008 in order to build its presence in the football market. At the time Umbro was the leading supplier of soccer clothing in the world, and the third largest supplier of branded athletic apparel in the United Kingdom. Nike tried to impose its own manufacturing and sales logistics onto Umbro. Nike executives struggled to understand the niche company. Nike sold Umbro to Iconix Brand Group for £137 million in 2012. England football kit sponsorship was switched to Nike from 2013.